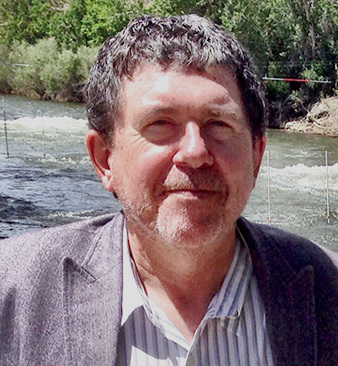 Tom Clavin is the author of the new book Dodge City: Wyatt Earp, Bat Masterson, and the Wickedest Town in the American West. 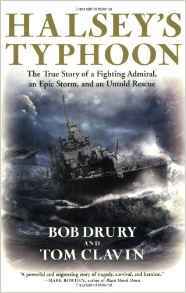 His other books include The Heart of Everything That Is and Halsey's Typhoon. He is a former New York Times reporter, and he lives in Sag Harbor, New York. Q: You write, “Many of the myths about the Wild West are connected in some way to Dodge City.” Why is that? A: Its location. Once the railroad came to Dodge City in 1872, it became a good destination for cattle drivers coming up from Texas…When that happened, Dodge City’s growth was pretty quick. Once the railroad was there, Dodge City became a magnet for people heading west. It might have been a place to stop off or an end in itself. [There were] entrepreneurs, people prospecting, people on their way to find a place to farm. I have a quote or two from Laura Ingalls Wilder, an example of a family heading to Kansas to find a place to farm. The railroad made Dodge City a ground zero type of place. Q: What first got you interested in writing about Wyatt Earp and Bat Masterson, and did your opinions of them change at all as you worked on the book? A: Definitely. I and a co-author, Bob Drury, wrote a book about the Sioux Indian leader Red Cloud—it came out in 2013. I was thinking about wanting again to do a story that took place in the American West. I started researching Bat Masterson. It’s a name a lot of people knew, but a character few knew. Above a certain age, people know he was a gunfighter, a gambler in the American West, but not much else is known about him. I thought he’d be worthy of a book, but Simon & Schuster didn’t agree. 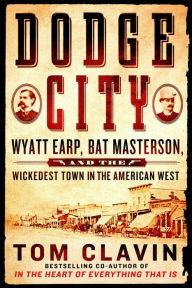 I was still fascinated by Bat Masterson [so I thought] maybe if you focus on a place or a time in is life—he was in Dodge City, he met Wyatt Earp—you could have those two mythical figures. As I found out more about their lives, I became more intrigued….With Wyatt Earp, [the focus has been on] Tombstone, the O.K. Corral. There’s not much known about him as a younger man. The confluence of the two as lawmen in Dodge City is a good story. Q: You note of Earp and Masterson that “tall tales have stuck to them like barnacles on a boat.” How difficult was it to come up with the facts about these two figures? A: Thankfully, especially with Wyatt, there’s a lot of material out there. Some of the material made Wyatt Earp famous. I cite a book, Wyatt Earp, Frontier Marshal, from 1931. A lot was written about him that was more mythical than factual, which set up a reaction to that. So there’s quite a lot of material about Wyatt Earp. It’s a gathering and sifting process; you’re prospecting for the truth. Sometimes there’s material that couldn’t be corroborated—it could be true, but it’s material that’s disputed, so it doesn’t end up in the book. Bat was a little more difficult. There’s not a lot researched or written about him. He’s not the mythical figure Wyatt Earp was. 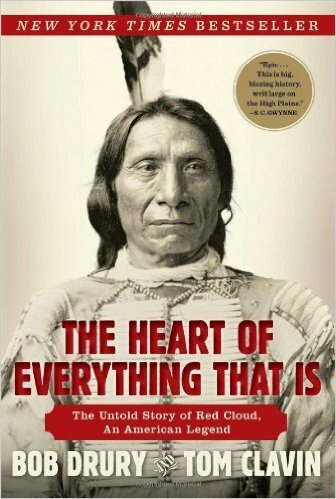 I point out in the Author’s Note that in Hollywood they don’t lack movies about the American West that feature Wyatt Earp. Bat Masterson, when he appears, is the junior member of the club, when in reality he was a duly elected sheriff and outranked Wyatt Earp. Even before he was a lawman, he went on a Searchers-like trek to find four girls…he was only 21 or 22 years old…. Q: What do you see as the legacy today of Earp, Masterson, and Dodge City? What’s really important for me with Wyatt and Bat is they are not the only ones but the principal players in a generation of [self-made] lawmen. There was no police academy to go to. A lot of the guys who served as marshals and sheriffs were bad guys. I liked the idea of Bat and Wyatt and their brothers—they thought they had to choose which side of the law they were going to live on, and they would make it up as they go along in terms of low and order. They were young and fairly uneducated men; they had not much formal schooling. There was a core integrity they followed, and they represented that generation that, clawing and screaming, brought law and order to the frontier. 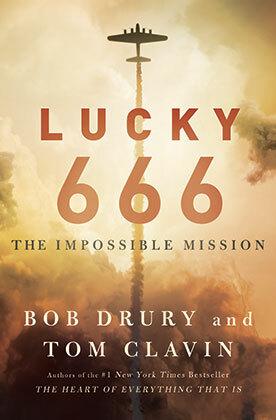 A: My writing partner and I, Bob Drury, had a book out at the end of October called Lucky 666. It’s a World War II story. When our publisher said no to Bat Masterson, [we wrote that]. In between books that Bob and I do, I do a solo project. My next book with Bob Drury is a book on George Washington and Valley Forge. My next solo project is the story of American pilots in Europe during World War II who were shot down. Ninety-nine percent of the pilots who survived were sent to POW camps. But a group of 150 flyers were judged to be terrorists, and they were sent to Buchenwald. They had to survive the death camp…the book is focusing on that story through the eyes of one fellow from the state of Washington. A: The main thing is, there are so many iconic characters in the book because Dodge City was a place of intersecting lives. That’s why the book allows for stories of Wild Bill Hickok, the James brothers, Billy the Kid, Belle Starr—all these characters were legitimately in the book because they have connections to Dodge City. Dodge City is the doorway to thinking about the American West in the 1870s and how it changed America.